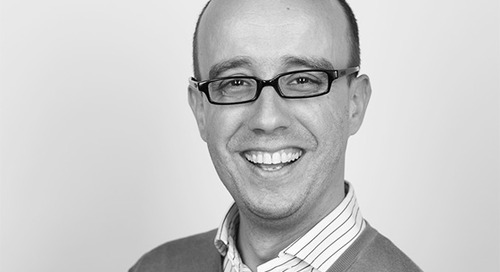 For someone who has worked alongside global organisations like the United Nations, IBM and Deutsche Bank, Talmix consultant Maris is a management consultant who delivers results by taking a fluid and agile approach to his clients’ organisations and requirements. Son of Latvian parents who settled in the US, from an early age and all through his life, Maris has had the wonderful opportunity to be able to identify with his peers and those he worked with, cross-culturally. A qualified mechanical engineer, Maris completed his MBA in finance and management which ultimately set his career on course, starting within the financial sector. “When I was still working in Engineering, I stumbled across a consultant who was working on a project to help improve process within the organisation. What impacted me was that this individual who came from outside of our organisation, was able to look at the way we did things, and recognise opportunity for change and then executed strategies that helped us improve as a business”. It was as a result of working alongside this external consultant, that Maris started his own journey of gravitating towards projects and roles which allowed him to explore the same type of service delivery, while still employed within the corporate world. Maris decided to leave the corporate world and embark on a journey of independent consulting by obtaining his business coach certification. Having worked independently for over 10 years now, Maris provided consulting services to the United Nations over three and a half years. “What was interesting to me about this contract is the crossing over from the private into the public sector with so many opportunities to improve and enhance their internal processes” he says. Starting with the recruitment process, Maris helped the client define the set of HR processes that launched the UN’s Talent Management system. Maris has always seen the role he plays within organisations, either as an employee or as an independent consultant, as a bridge between the technical and commercial functions within a business. With a firm footing within the technical world, and having developed himself through his MBA and further experience into a commercial approach, Maris is able to perform that pivotal role of understanding the technical and translating that into revenue opportunity. With a pragmatic and practical approach to his projects, Maris works across an entire organisation in order to deliver results which reflect growth. He is able to apply his skills to many industries and observes and works with the way an organisation operates as opposed to the particularities of what they do or produce. If you’re looking for someone like Maris who can develop your corporate strategy across the functions within your business, then speak to Talmix today to get started.